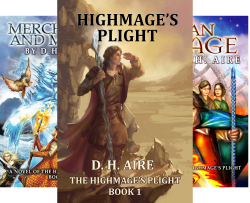 The complete 7 novel Highmage’s Plight Series, available on Kindle, $30.93 (ebook). 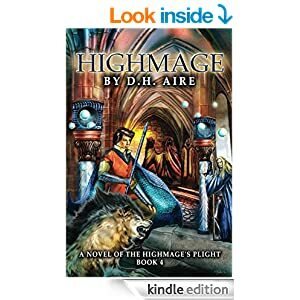 Highmage’s Plight, debut science fiction/fantasy novel by D.H. Aire and the first book in new series (available as epub exclusively for Kindle), and available in paperback (second edition with new cover) through Amazon for $9.99, 218 pages, Kindle edition $0.99 and in other epub formats. 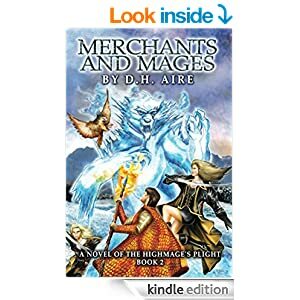 Merchants and Mages (Book 2) paperback for about $11.49, available on Kindle for $2.99. Human Mage (Highmage’s Plight, Book 3) in paperback through Amazon here for $11.95, 308 pages. 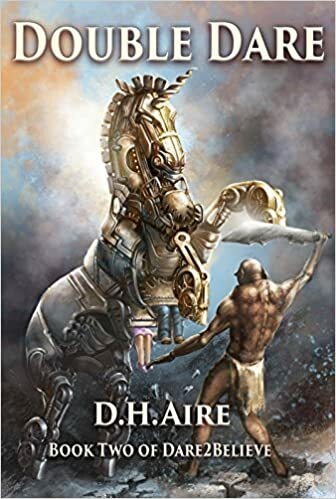 Human Mage (Second Edition) ebook available for Kindle, $3.99 on Kindle — also available on Page Foundry, iStore, Kobo, Nook, Oyster, Scribd, and Tolino. Find these links and more for Human Mage: https://books2read.com/u/49VLMb. 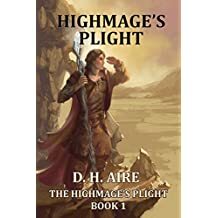 Highmage (Highmage’s Plight, Book 4) available in paperback for $12.49 on Amazon. 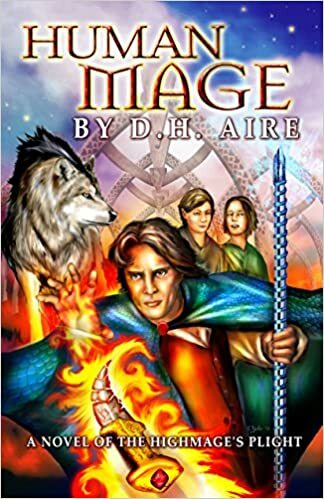 Highmage NOW available on Amazon Kindle, $4.99, 302 pages and soon in other epub formats (Apple, Kobo, Nook, Scribd, Page Foundry, and more). Find these links and more for Highmage: https://books2read.com/u/bWPgW3. 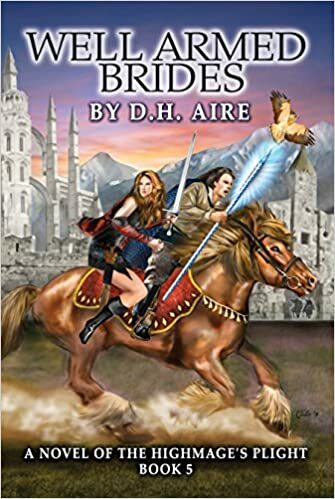 Well Armed Brides (Highmage’s Plight, Book 5) available on Kindle and other epub formats, $4.99. Paperback, 368 pages. Also available in other epub formats: Apple, Nook, Kobo, Oyster, Page Foundry, Scribd, and more. Find these links and more for Well Armed Brides: https://books2read.com/u/mVvqAm. Prophecies’ Pawns (Book 6 of Highmage’s Plight) available on Kindle, $5.99, 286 pages. Available on Kindle, Nook, Kobo, Scribd, Apple, Page Foundry, and more. Find these links and more for https://books2read.com/u/mYQOPm. New: Paradox Lost (Book 7 of Highmage’s Plight) available on Kindle and other ebook formats, $6.99. Paperback now available on Amazon, $17.50. 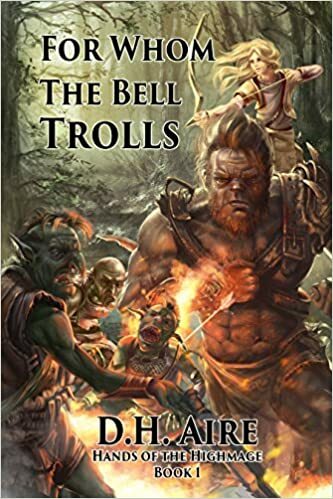 Also Available on Kindle – For Whom the Bell Trolls $3.99 (Book 1 of the Hands of the Highmage), set in the world of Highmage’s Plight, the story of two trolls minding their own business, who must save lost girls from brigands, goblins, and a dragon. But the real question is: who’s going to save them from the girls? 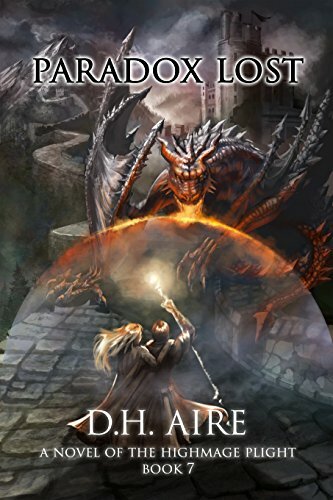 Available on Kindle – Of Elves and Unicorns, $3.99 (Book 2 of the Hands of the Highmage), set in the world of Highmage’s Plight. A magic book demands to be read and an elfblooded princess finds herself readying the story of the history of two legendary figures. 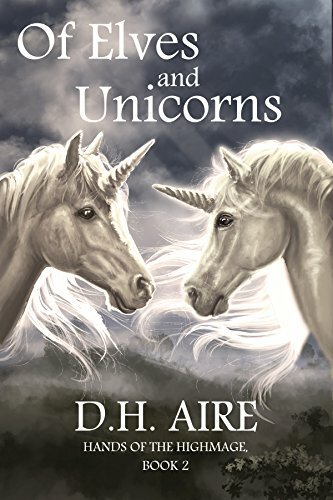 Set four hundred year before Highmage’s Plight in a world with but one unicorn, their are suddenly two — reshaping reality. 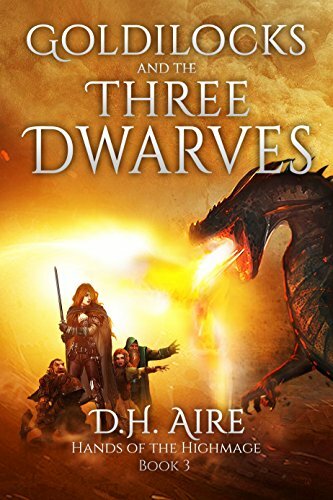 This is the tale of a young Imperial mage, Lord Faeryn, who is investigating the murder of the Hand of the Highmage in the Provincial city of Tane, while in the distant city of Catha, Lord Kyrr finds his House fighting for survival once again. 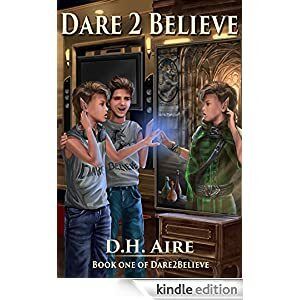 Dare 2 Believe, Book 1 of Dhr2believe, Now available on Amazon Kindle, $3.99. And available on Nook, Kobo, iStore, Scribd, and elsewhere links at https://www.books2read.com/u/31gnBl. Dare 2 Believe now available in paperback, $12.49 on Amazon. Double Dare… $4.99 Kindle, $12.49 in paperback. 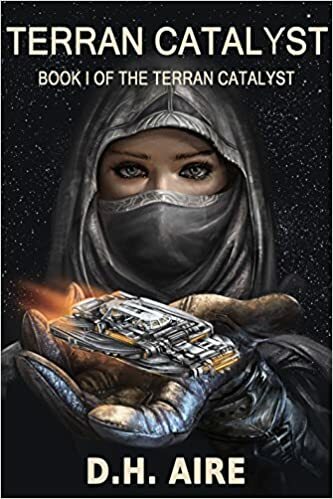 Terran Catalyst, Book One of The Terran Catalyst, now available in paperback, $12.49 on Amazon. Available exclusively on Kindle. Regularly priced at $3.99 and available on Kindle Unlimited. 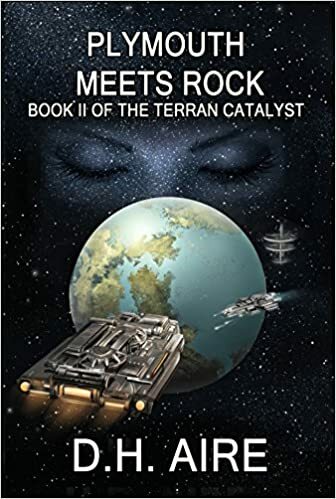 Plymouth Meets Rock, Book Two of Terran Catalyst, exclusively on Kindle at $4.99. And available in paperback for $12.99. Like anthologies and short stories? 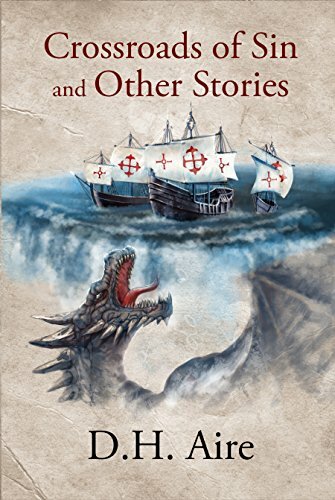 Crossroads of Sin and Other Stories available on Kindle at $0.99 and available in a variety of other epub formats. Paperback available through Amazon for $11.99. 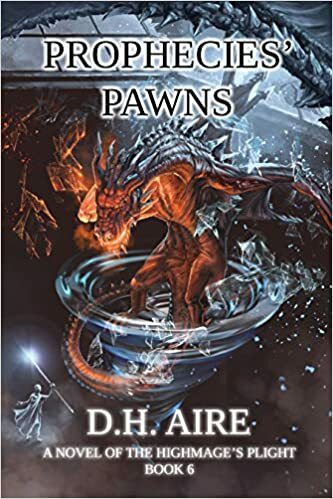 Includes not only previously published short stories by D.H. Aire, but an exclusive never before published story set in the world of his Highmage’s Plight Series — The Dragon’s Curse. Plus articles about what’s inspired the author, which he hopes may inspire others. 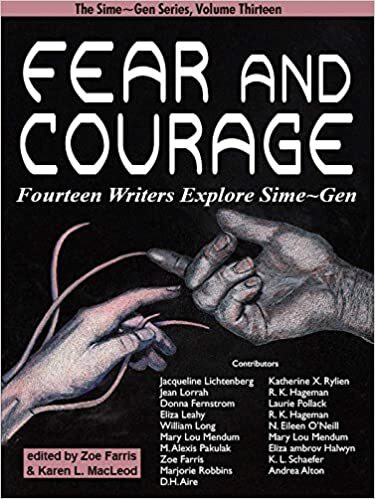 Fear and Courage: Fourteen Authors Exploring Sime~Gen, includes a story by D.H. Aire, Kindle, Nook, $4.99. 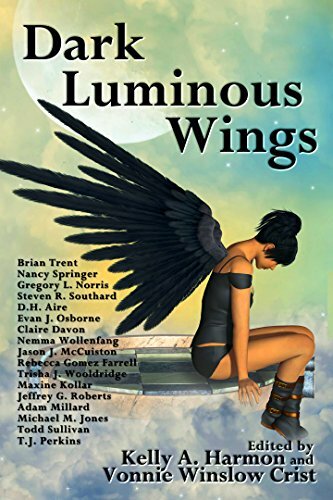 Recently released anthology, Dark Luminous Wings, featuring my short story, Knight of the Broken Table, $4.99 (ebook), $14.99 (paperback). 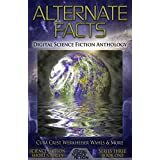 My short story, Nowhere to Go But Mars, has been released by Digital Science Fiction in Alternate Facts, the third science fiction anthology they’ve published, available on Kindle, $2.99. 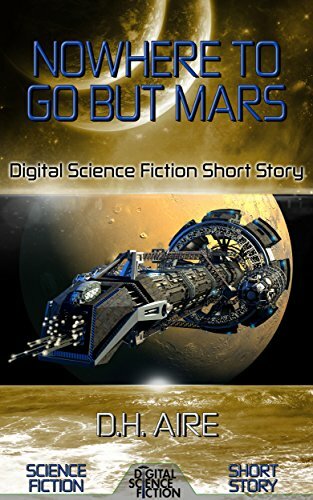 Nowhere to Go But Mars is also available from Digital Science Fiction as a stand alone, which is available on Kindle, iStore, Google Play, Kobo, and and for Nook via Pronoun. 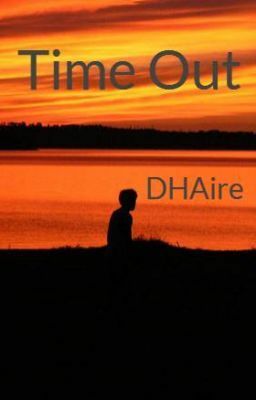 Currently available online for free… join Wattpad (membership is free) and read stories targeted primarily to a Young Adult audience which can be read on all mobile devices or online… is my short story, Time Out. Search by my name or by title, or visit my online profile – http://wattpad.com/DHAire.